It was an autumn day. Guests gathered in front of a modern-traditional Tibetan wooden house for an art show in the Dukezong old town, Shangri-La, northwest Yunnan’s Diqing Tibetan Autonomous Prefecture. The house is called Shangri-La Contemporary Art Center, where the first show "sender without addresses" was about to kick off. At the opening ceremony, Zhaba Gedan, owner of the art center, danced along with the music. The Indian-style costume reveals his unusual past: He was born in India and he returned to China at the age of 16. Gedan was one of the first tour guides in Shangri-La, and he mainly served international tourists. He opened a restaurant and now owns a special hotel in the old town. And Gedan is gradually realizing his "naicang" dream on the Ancient Tea-Horse Road. 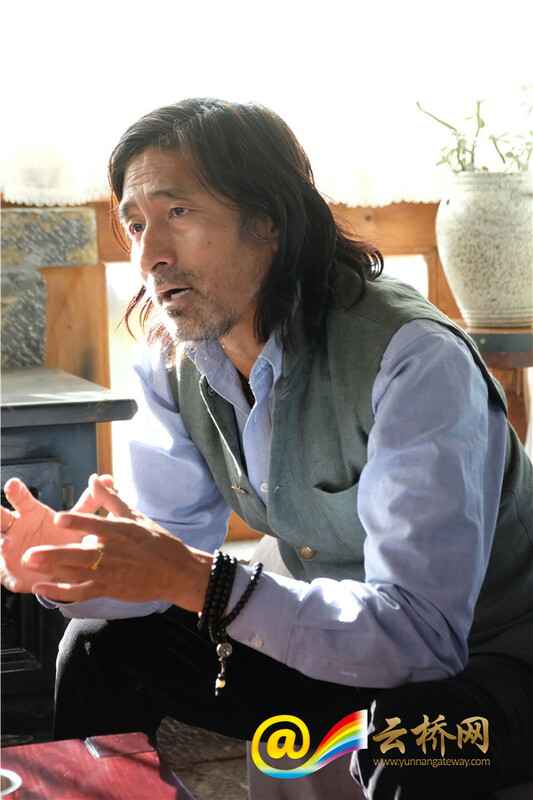 "Naicang” means tavern in the Tibetan language," said Zhaba Gedan, closing his eyes and wearing a dreamy look. His thin face, gray beard and long hair remind us of the caravan head on the ancient trading route that passed the Dukezong town. Decades ago, Gedan’s father conducted business along the Tea-Horse Road all the way to India, and Gedan was born and raised there. When he was 16, the family returned to Shangri-La to look for his missing sister. Then, Gedan went to a local elementary school for learning Chinese. Having grown up, he started a travel agency, guiding foreign tourists to the Tiger-Leaping Gorge and snow-capped mountains and getting through ups and downs. "For someone wont to travel, many changes in their life happen on the way," said Gedan, summing up his life experiences. “My father used to tell me stories about the ancient Tea-Horse Road, and all the stories are centered around the 'naicang/tavern'.” Zhaba Gedan recalled the countless taverns along the ancient trading route, which were by no means just a place to rest. The father’s stories have all gone with the wind, together with the ancient road, the caravan and the “naicang”. However, Zhaba Gedan returned to where his father started the journey of trade. He hoped to realize his dream in Shangri-La -- to make the "Naicang" beyond a place to rest. 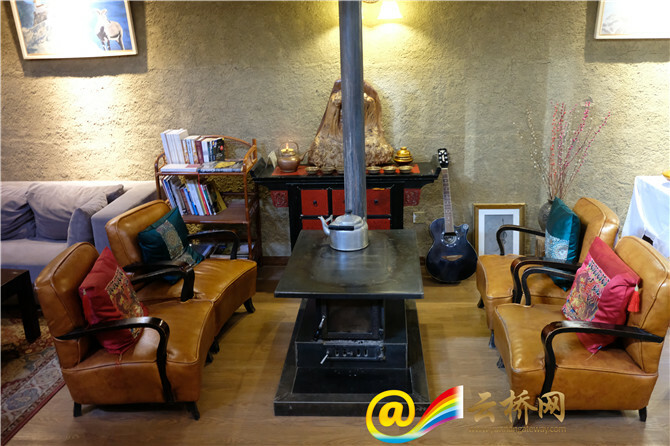 Hidden in the Dukezong old town in Shangri-La, the Aruo Kangba hotel features a long passage: warm lights on the slate and wooded pillars, a lazy akita lying on the walkway, and go-pieces and chess on the tea tables. "Things here are arranged according to a 'naicang' design." Gedan said the guests at his hotel remind him of the tired traders on the ancient Tea-Horse Road, who went past the horse stable, played chess with natives, had a cup of tea, and asked about the road conditions ahead. Besides warm lodging, the hotel also offers tourists cultural experiences and travel information, in an effort to show an open, inclusive, and unique Shangri-La. 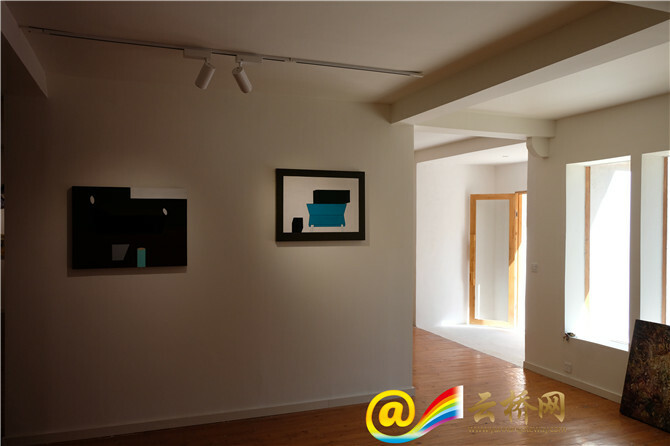 The first exhibition at the Shangri-La art center lasted for three months, featuring oil paintings, photography and performance art by 19 artists from home and abroad. Natives, tourists and art lovers gathered to share their aesthetic ideas. Near the art center, Gedan also opened a Thangka center, both of which are conducive to his “naicang” dream. In the cultural centers, local children learn to paint free, while handicrafts by local women are sold as souvenirs at the corner in the lobby. Tourists can either learn to paint Thangka or do some Nixi black pottery. 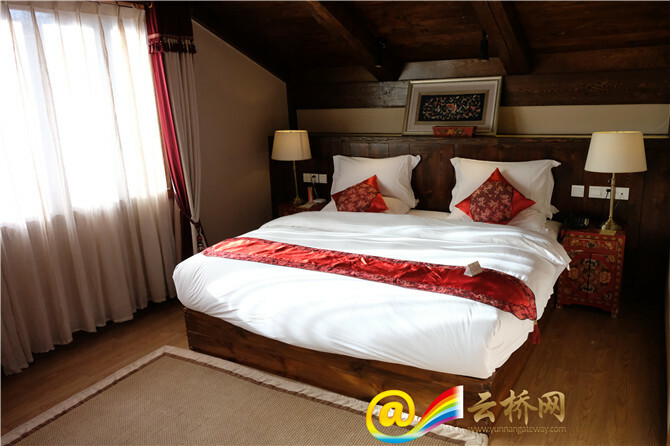 Gedan’s “naicang” dream is coming true -- his hotel chain of Tibetan style now has presence in Shangri-La, Lijiang, Lhasa and others. In the future, he wants to extend the “naicang” chain all the way along the ancient Tea-Horse Road.